Home / World / US-led coalition proposes IS targets in Syria, "several hundred" fighters "removed"
US-led coalition proposes IS targets in Syria, "several hundred" fighters "removed"
Operation Inherent Resolve continued to support its partners with "precise air strikes and coordinated fires to further progress" against IS in Syria, the coalition said in a statement. The coalition said the coordinated attacks that took place from 16-22. 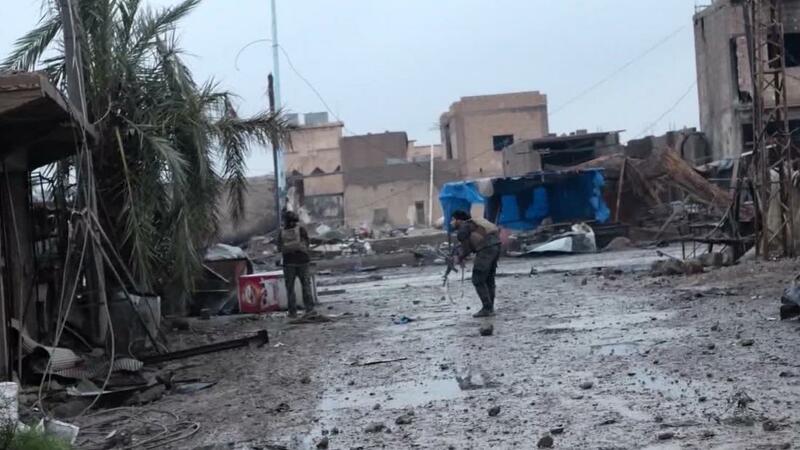 December, the terrorist group's logistics facilities and staging areas "destroyed" and "removed several hundred ISIS fighters from the battlefield." Centers in eastern Syria "sapping" the financing of terrorist activities, the coalition said. "ISIS poses a very real threat to the long-term stability of this region and our mission remains the same, the permanent defeat of ISIS." British Major General Christopher Ghika, Deputy Commander of the Combined Joint Task Force. Operation Inherent Resolve said in a statement Tuesday. The explanation stems from Trump's statement that ISIS was defeated and his announcement that the US would begin "fully" and "rapidly" withdrawing its approximately 2,000 troops in Syria. Trump's decision led in part to the resignation of his defense minister James Mattis and his top diplomat for the global coalition against ISIS.